Strong storms can cause a lot of damage to your property, especially if you aren’t prepared for them. Rainwater can enter from open windows and end up drenching your furniture, while strong winds can rip through your walls. Handling the aftermath of a storm is one of the most grueling situations you can experience as a property owner. With your valuables and structure devastated, repairing and restoring your building without any assistance isn’t easy. In situations like this, you can rely on Romexterra Construction Fire and Water Restoration Services for help. 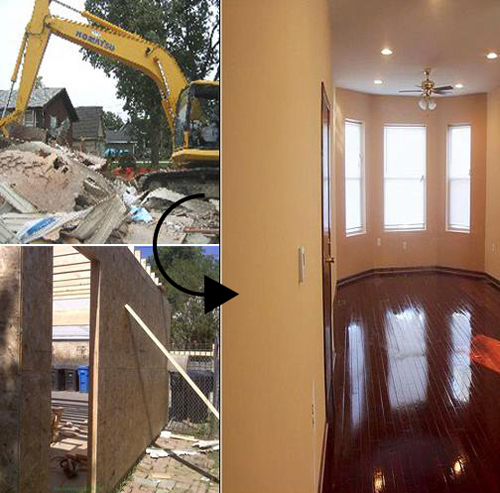 Our company has been in the restoration business for more than a decade and knows exactly which restoration procedure will get you out of your predicament. 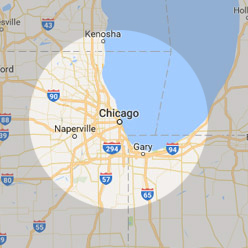 Contact Romexterra Construction if your property in the Greater Chicagoland City area has been devastated by a storm. We offer quality and reliable storm damage restoration, as well as other disaster restoration services to help you rise above your situation. Our company uses state-of-the-art restoration equipment to efficiently clean and restore your storm-damaged building. Plus, our fully licensed and certified technicians work tirelessly to ensure that your property is returned to its pre-damaged state, quickly. Even if minimal storm damage can be addressed with normal repair and restoration techniques, it’s better to let the professionals take care of the restoration work. 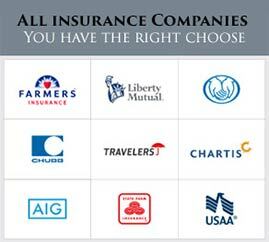 We have the experience and know-how that allow us to correctly handle the damage with zero mistakes and delays. Our storm damage restoration service follows a strict step-by-step process to make sure that your property is treated with the best possible care. Before we begin any restoration and repairs, we’ll first drain out the water from your property and clean the entire area. Doing so makes the environment easier and safer to work in. We’ll also remove any unsalvageable items that have been wrecked by the disaster. Once the surroundings are cleared from debris and other hazards, we’ll begin with the restoration process. Depending on the severity of the storm damage, we’ll rely on our water damage restoration procedures to finish the task. Once we’re done restoring and taking care of your property, our technicians will conduct a final inspection to ensure that your building is 100% restored. We never leave any project half-done or incomplete in any manner. 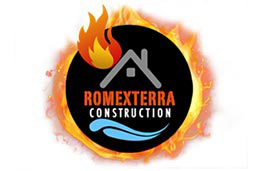 If you want Romexterra Construction Fire and Water Restoration Services to help you in your storm damage predicament, give us a call at 312-313-2426 for a free estimate today.